In the last ten years, as introversion has reached the mainstream public, more and more people talk positively about it — making introverts like me feel less alone. And if you’re an introvert, you probably know well enough that we live in a extrovert-centric society, in which gregariousness is celebrated and quiet reflection is deemed a bad personality trait that kids need to grow out of. But we also know that research has shown there’s a physical difference in how introverts’ and extroverts’ brains are wired — and that being a “quiet one” comes with many advantages. For many, the first introvert author they discover is Susan Cain and her worldwide success, Quiet. At least I know that for me she was the first person I heard talking about introversion in a positive light. Watching her TED Talk was the first time I felt less alone and like I didn’t need to change anything about my quiet ways. Many have followed in Cain’s footsteps and given us other amazing books about introversion, like Introvert, Dear’s founder Jenn Granneman, author of The Secret Lives of Introverts: Inside Our Hidden World. And it’s no surprise that many introverts turn to books to understand themselves better. 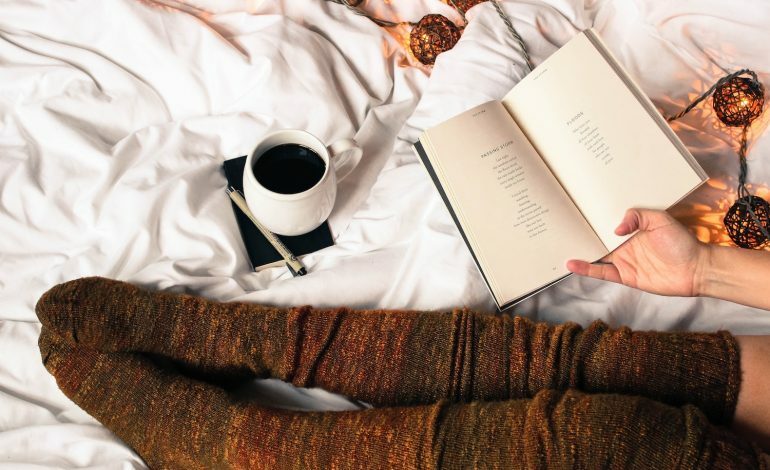 Reading is the perfect solitary activity to recharge, and personally, I believe books have the power to make us feel less alone, less “strange,” and less different. If you’re an avid reader like me, and you’re on the hunt for the perfect young adult book, one that will make you feel understood as an introvert — especially as an introverted woman — then check out my five favorites below. Named a 2018 best book by The New York Times, Amazon, Indigo, and Goodreads, Fangirl tells Cath’s story. Cath is an introvert who’s also the biggest Simon Snow fangirl. She and her twin sister Wren grew up reading Simon Snow’s books, which helped them through their mother’s leaving them. But as they grow older, Wren loses interest in the fandom, while Cath finds herself more and more submerged in it. Things change even more when they leave for college and Wren, the extroverted twin, decides she doesn’t want to share a room with her quiet sister anymore. Cath finds herself alone and out of her comfort zone, worrying about their dad, who’s alone for the first time since their mother left, and trying to navigate college life and boys. Can Cath do it without Wren by her side? And does she even want to if it means leaving the wonderful world of Simon Snow behind? If you’re about to start college, are in college now, or are going through a time of transition, I’d suggest starting with this book, because it will make you feel less alone and disoriented in your new chapter of life, especially if you, like Cath and me, hate change. From award-winning author Becky Albertalli, The Upside of Unrequited is a funny, honest look at sisterhood, love, and identity. Molly Peskin-Suso, the main character, describes herself as a “disoriented introvert, alone in the world” and, similarly to the aforementioned Cath, she has an extroverted twin sister. She’s seventeen and has never kissed a boy (unlike her sister and the many girls she’s kissed), but Molly’s had plenty of crushes, 26 to be exact. Molly Peskin-Suso is chronically afraid of rejection (fat girls always have to be careful), and that’s why she never puts her heart on the line. But a new coworker and the fact that her sister finally gets a girlfriend and is spending less time with Molly might challenge her fears. If you’re an introvert, a bit awkward, and you always felt like everybody else knew what they were doing and you didn’t, this book is for you. From award-winning YouTube sensation Zoe Sugg, otherwise known as Zoella, comes her New York Times bestselling debut novel, Girl Online. This book is the first of a trilogy that follows Penny’s life. Penny is an introvert with a passion for photography, a very extroverted best friend, and a crippling anxiety that’s plagued her mind ever since she and her parents were in a car accident. But there’s more to Penny’s life. She secretly writes a blog under the alias Girl Online, and her life is about to change as she sets out on a once-in-a-lifetime trip to New York City. That’s where she meets Noah, a charming, guitar-strumming American, who’s also keeping a big secret that will threaten to ruin Penny’s cover. If you’ve ever felt like a confused young introvert trying to find your place in the world, this one is definitely for you. You’ve probably heard of this one, because New York Times bestselling author Jenny Han’s novel is now a major motion picture streaming on Netflix. I read it several years before the movie came out and felt a deep connection with the introverted main character, Lara Jean. Similar to the aforementioned Molly, Lara Jean has had many crushes but has never acted on them. Instead, to get over them, she writes letters but never sends them, instead stuffing them in a hatbox her mom gave her. But one day, she’s surprised to find that the box is suddenly empty and her worst nightmare is coming true! The letters have been mailed, causing all her past crushes to come forward and confront her. This includes: her first kiss and her big sister’s ex boyfriend. But it might not be the end of the world for this sweet introvert. This is the first book in Jenny Han’s trilogy featuring Lara Jean. From New York Times bestselling author Morgan Matson, Since You’ve Been Gone tells Emily’s story. Emily is an introvert through and through; she doesn’t go to parties, she rarely talks to guys, and she doesn’t do anything all that crazy. Enter Sloane: her new extroverted best friend who has a way of pulling her out of her shell and making her life more interesting. But when Sloane unexpectedly disappears, leaving Emily with a to-do list of 13 tasks she wants her to complete by the end of summer, Emily doesn’t know what to do without her. But that to-do list might be a starting point, if it wasn’t for things Emily doesn’t really want to do, like kissing a stranger or going skinny dipping. If you’re looking for the perfect coming-of-age easy read — and you’ve been that introvert who’s had to step out of your comfort zone completely on your own — this book is for you. Italian INFJ. Media and Communication graduate with a major in Journalism. Book lover and TV series obsessed.